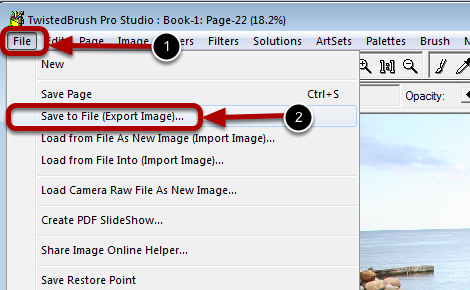 Saving work in TwistedBrush Pro Studio is automatic and is saved to the sketchbook system. 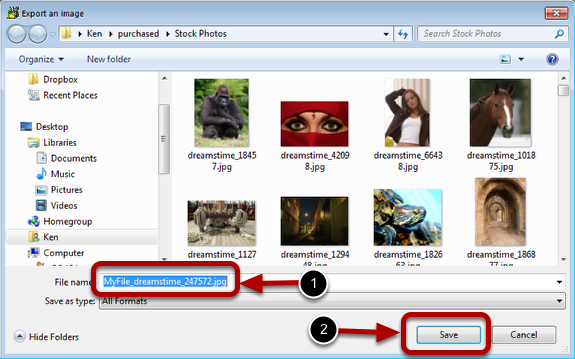 However at anytime you can save to an external file. Select Save to File (Export Image). Type the file name you want to save your image to here.